Yeasts have proven to be an invaluable model organism to explore the fundamental cellular processes and pathways conserved across eukaryotic organisms. The wide array of available genetic and genomic tools, coupled with experimental tractability, make them ideal organisms for genetic research. 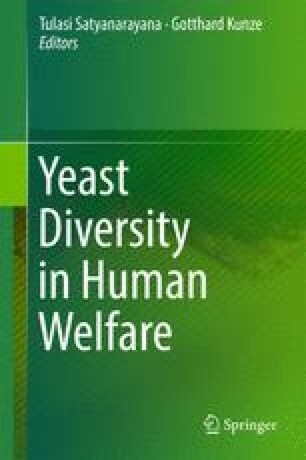 A significant contribution to our systemic understanding of many human diseases has been made by studies carried out in yeasts. High-throughput genetic screens have been used to identify human disease genes, as well as to dissect the molecular pathways that regulate the function of disease related proteins. Recent developments in the areas of chemical-genetics and chemical genomics have further highlighted the importance of yeasts in the simultaneous analysis of a large number of drugs, as well as facilitating the identification of their mechanism of action. In this chapter, we describe the various genetic tools that have been used by yeast researchers to increase our understanding of the basic human biology and provide insights into the molecular mechanisms underlying various human diseases. The authors thank Dr. Aparna Sapra for critical reading of the manuscript.